Hi. I’m here to tell you the history of shaving. It all began with cavemen, they had long hairy beards and the beards were sweaty and dusty. Then, in 1904, a company called Gillette invented the “safety razor“. The safety razor was a single-blade razor that made shaving cool and fun and everyone did it. The single-blade safety razor set off a wave of innovation that would last for the next 100 years. In 1971, after more than 60 years of research, Gillette realized they could double their revenues if they sold a razor that had (get this) TWO blades. That’s right, the dual-blade Gillette Sensor Excel took the shaving industry by storm and it was another 30 years before the inventors at Gillette could improve this model. At the turn of the millennium, Gillette surprised the world when it rushed to market the Mach 3. This razor had 3 blades and a cool name that made you feel like you were shaving at three times the speed of sound. I was in college at the time and before every dorm dance all the guys would shave with the Mach 3 and then talk about it. However, Gillette did not know this would wake a sleeping giant and the giant’s name was “Schick” and Schick was very tired of losing the race to see how many razor blades you could convince someone to buy at one time. Schick decided to give Gillette a dose of its own medicine and launched the Schick Quattro. For those of you that don’t already know “quattro” is Slovakian for “four”. The Schick scientists had surprised even themselves by fitting four full size razors onto one apparatus, unbelievable. Unfortunately for Schick, Gillette was already a step ahead of the game . . . Innovation is, and always has been, the life-blood of the shaving business. 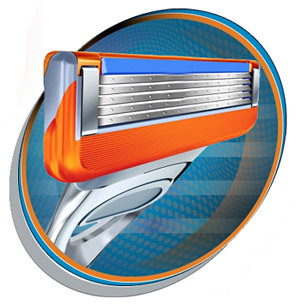 As the leader in shaving, Gillette always innovates. We always push technology to the limit. We always seek to provide superior consumer satisfaction, and men are always looking for a better way to shave. You heard it hear first, Gillette has brought to the soul patch market the most sophisticated facial topiary technology available to date. What will they think of next? We don’t know, but we hope it involves more razor blades because we can’t get enough. If it isn’t obvious by now we are long Gillette and see a soft market for unkempt facial hair. Sorry this post is so long, hopefully your facial hair is short enough to make up for it. Thanks for your time. Recommendation: Long Gillette. Short unruly facial hair. I have been doing Forex trading for nearly 6 years now, I always prefer to work on something that’s beneficial and have great market value, so that’s why I only prefer Stocks/Fore and currently I am trading with OctaFX broker where they have over 70 currency pairs which helps me with working while the spread here is incredibly low starting from 0.1 pip for major pairs and there is also rebate scheme that gives 50% back on all trading orders, so all very useful.